It's that time of year again where you are expected to brilliantly come up with amazing gifts for friends, coworkers, book club members, the chiropractor, your kids teachers and the doorman all for under a few bucks each. Thanks to pressure from the retailers, 'it's the thought that counts' doesn't cut it anymore. So what are you going to do? My gift to you is this Mexican hot chocolate square idea. It's essentially a little ball/square/cutout (or whatever shape you decided to make) of chocolate that will melt into a cup of warm cream for one of the best cups of hot chocolate ever. The hint of cinnamon and red pepper add a nice depth that wakes up all the senses. You could take this one step farther and add homemade marshmallows, but it's not necessary and is a bit more work. 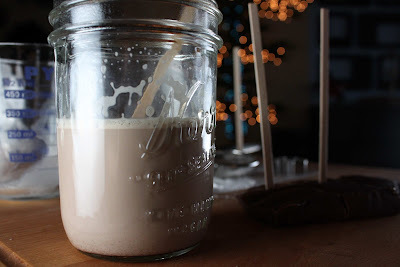 Stop stressing over the little presents, make these Fat and happy holiday hot chocolate treats that are delicious, easy to make and easy on the pocket book; or you could just buy everyone a lottery ticket and hope they share the winnings with you. At least you can make a cocoa ball for yourself! 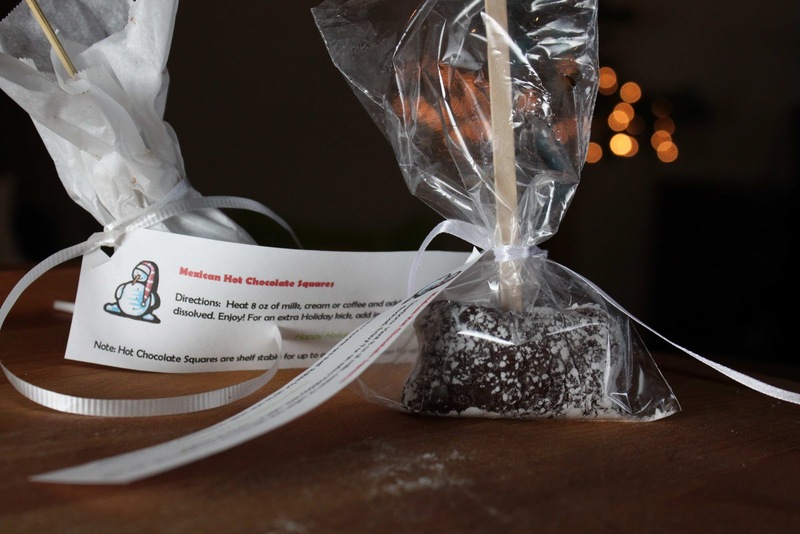 Tips and techniques: Design a simple flag or card to attach to the treats with a ribbon that tells the gift receiver how to store and use the hot chocolate squares. Come up with your own name and directions for these cocoa balls, or use my example below. Heat the cream with the sugar, cocoa, cinnamon, red pepper and vanilla until steaming but just below boiling. Whisk all the ingredients together well. Pour the steaming cream over the chocolate pieces in a heat proof bowl, let it sit for a few minutes while the cream melts the chocolate and then stir it all together; the mixture will be thick. Pour the mixture into a parchment or wax paper lined pan (for just one recipe try a mini bread pan) and set in the refrigerator until the mixture is set, about 2 hours. 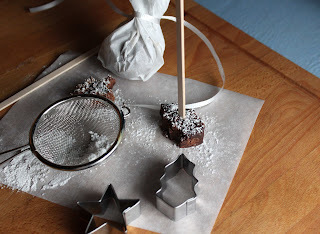 Cut the chocolate into squares, scoop them into balls or use a holiday cookie cutter to form them. We prefer a super chocolaty cup of cocoa so I only cut 4 squares out of this; but you can get 6 squares if you prefer to eek out a few more gifts. Push wooden stir sticks into them, wrap them in parchment paper or in a plastic lollipop bag (can be purchased at Michael's Craft Store), then tie them up with a ribbon and the directions card. Voila! 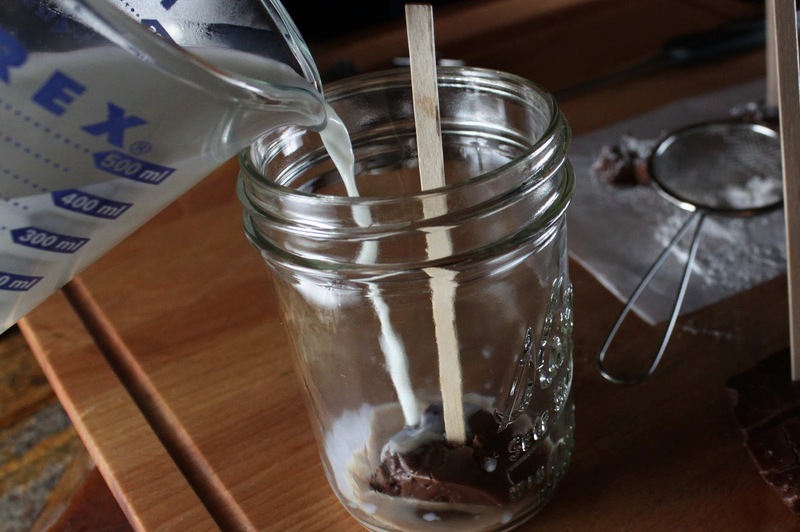 For the directions card: Heat 8 oz of milk, cream or coffee, add the hot chocolate ball and stir until dissolved. Enjoy. For a real Holiday kick, add in 1 ounce of tequila. Note: cocoa balls are shelf stable for up to a week or frozen for up to a month.